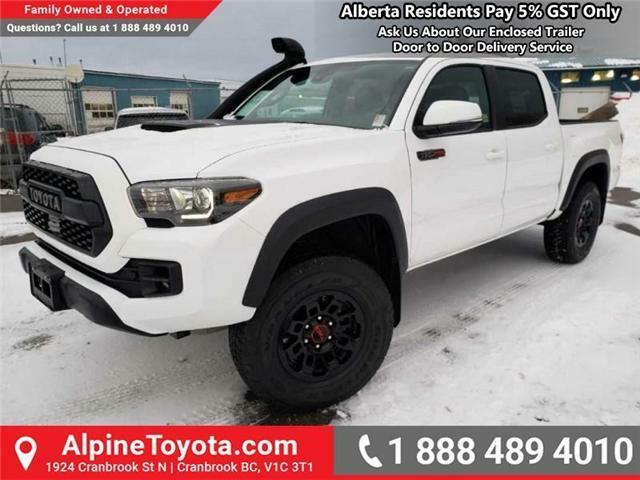 $58,550 x 84 Months @ 4.99%, 5.28% Effective APR (cost of borrowing $10,875). 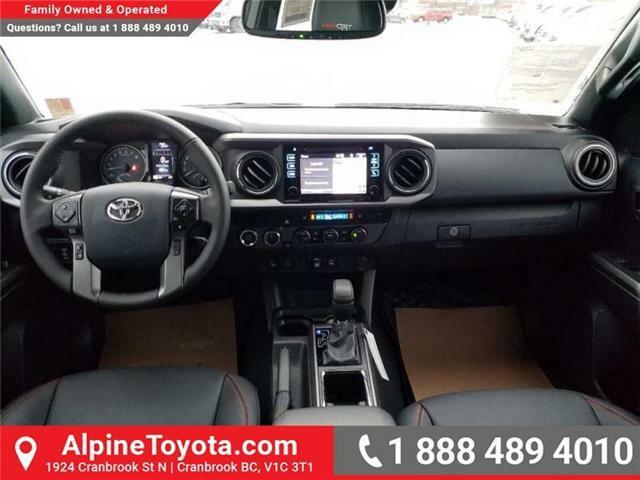 Leather Seats, Fog Lamps, Blind Sport Information System, 16 inch Wheels! 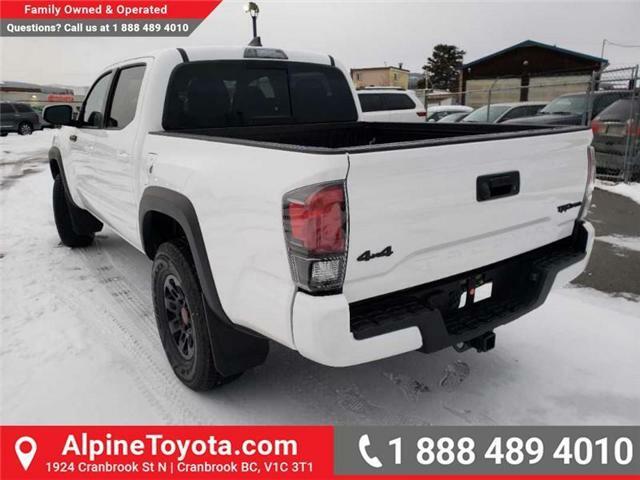 Looking for a mid-size pickup that can do it all? 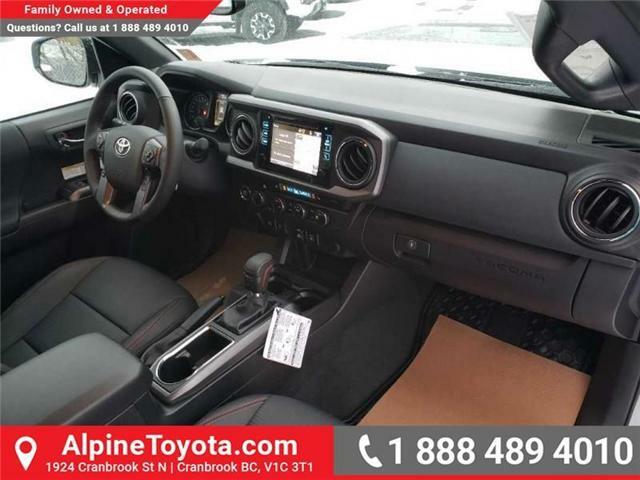 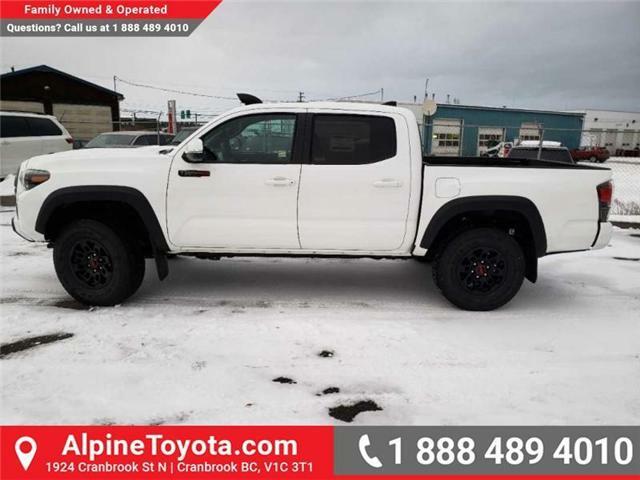 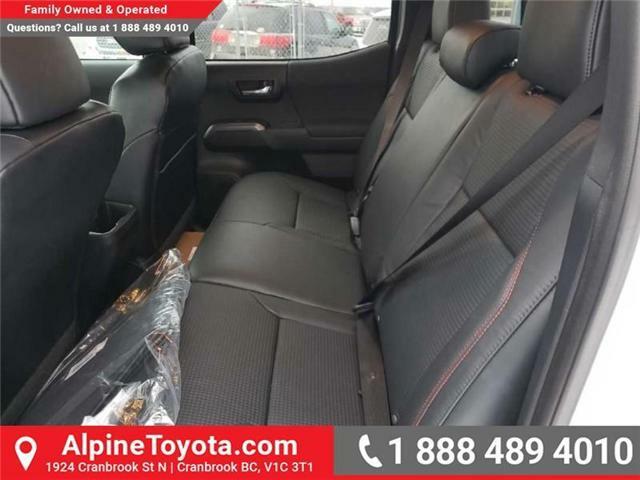 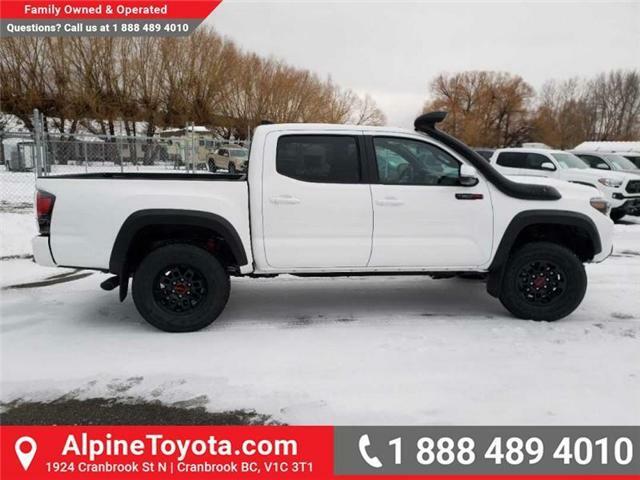 You should definitely check out this Toyota Tacoma, a go-anywhere truck that combines an efficient engine with capable suspension and a well appointed interior. 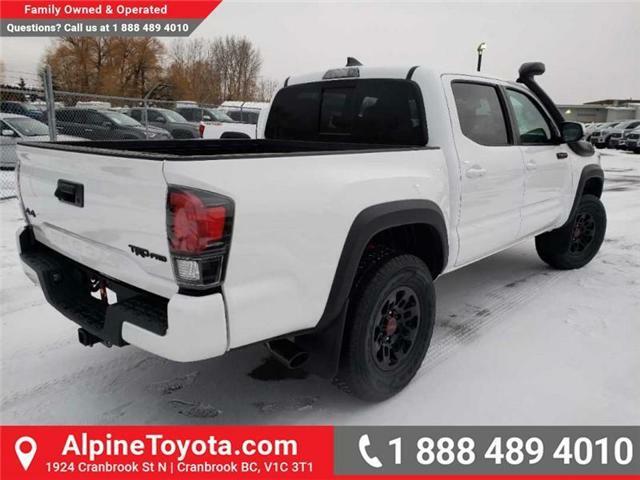 This alpine white crew cab 4X4 pickup has an automatic transmission and is powered by a 278HP 3.5L V6 Cylinder Engine. 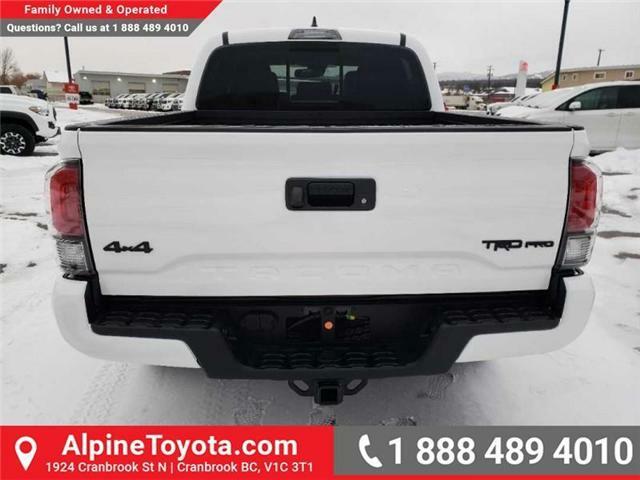 Our Tacoma's trim level is TRD Pro. 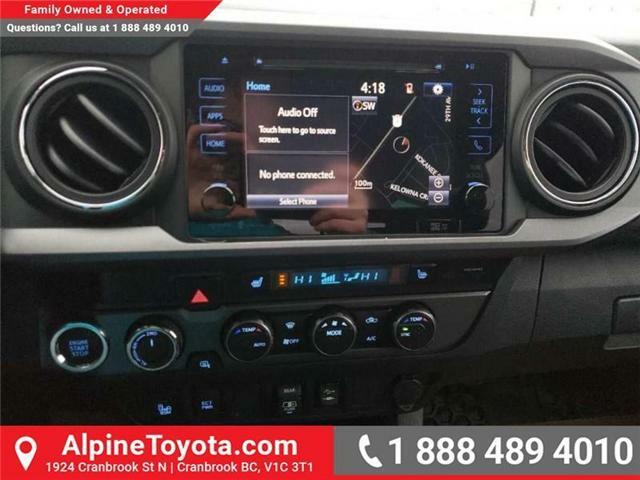 The TRD Pro package adds some nice goodies to this Tundra like premium navigation, black leather seats with red stitching, TRD performance technology, black Tundra badges, TRD specific skid plates, hood scoop, Rigid Industries LED fog lamps, blind spot monitoring, TRD decals and badging, bucket seats, fuel tank protection pates, and huge unique wheels. 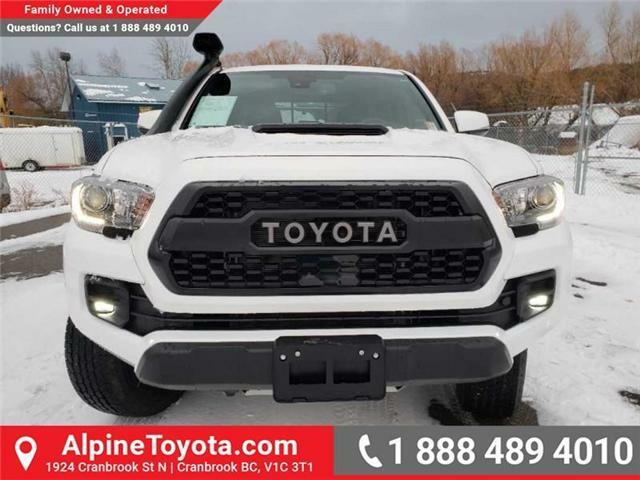 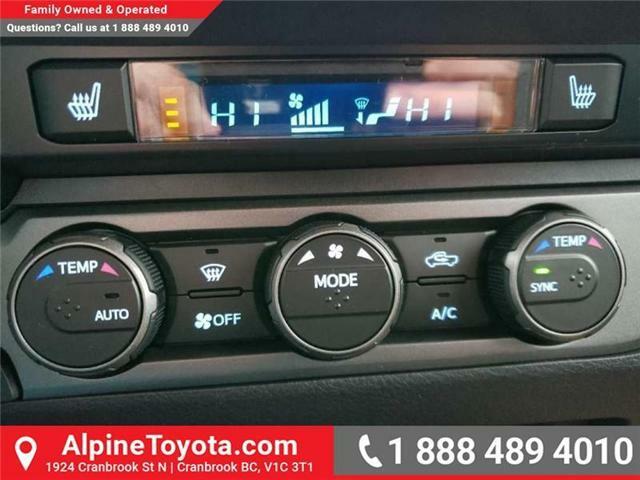 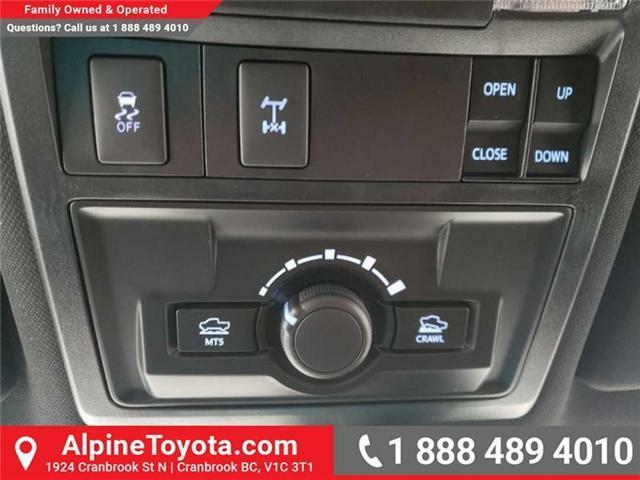 This amazing truck is also equipped with heated power front seats, pre collision safety program, pedestrian detection, lane departure alert, steering wheel with cruise and audio controls, 4.2 inch multi information display, rearview camera, remote keyless entry, automatic highbeams, adaptive cruise control, aluminum wheels, heavy duty hitch receiver, 4 and 7 pin connectors, supplemental transmission cooler, heated power side mirrors, Easy Lift/Lower removable tailgate, tow/haul, advanced motor technology, trailer brake controller, limited slip rear differential, trailer sway control, SR5 badging, fog lamps, 7 inch display, Bluetooth, SiriusXM, voice recognition, AM/FM/CD/MP3/WMA audio, and USB and aux jacks. 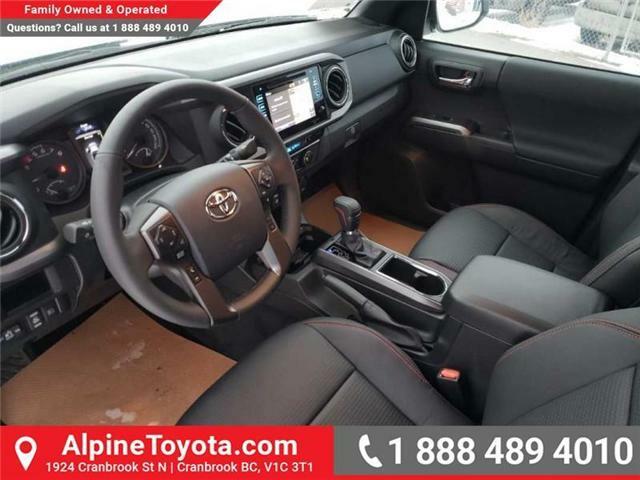 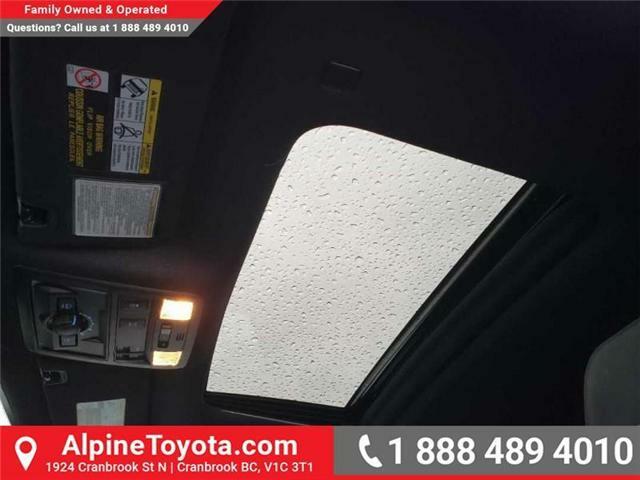 This vehicle has been upgraded with the following features: Leather Seats, Fog Lamps, Blind Sport Information System, 16 Inch Wheels. 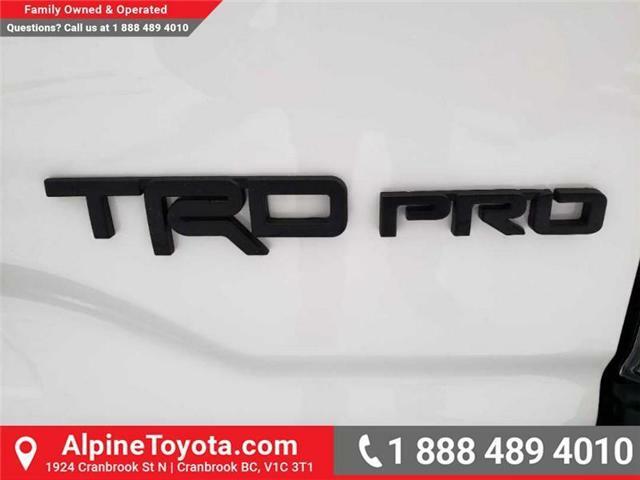 Black TRD Pro Badge Includes black TRD Pro and 4x4 rear tailgate badging. 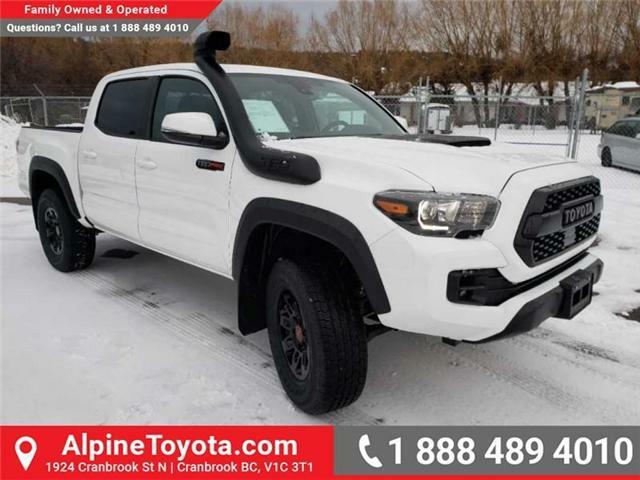 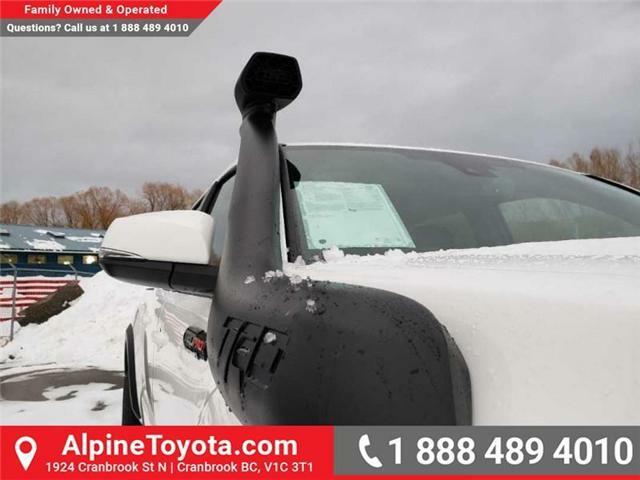 TRD Pro Stainless Steel Exhaust Includes black chrome exhaust tip. 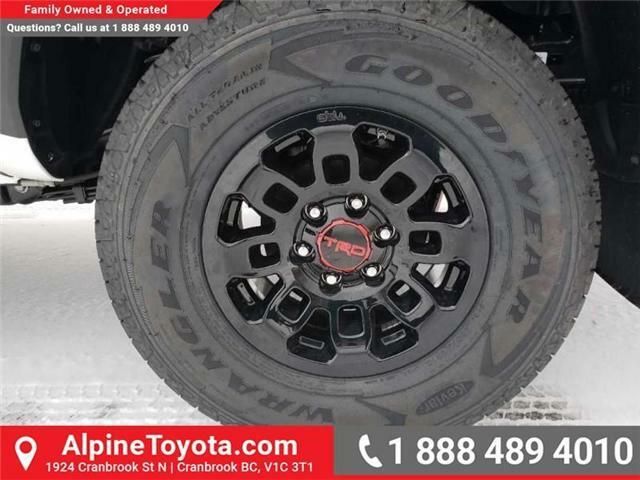 TRD Skid Plate Includes red logo.